The age-old conspiracy that Facebook is somehow secretly spying on its users is catching a second wind (colloquially speaking, though the number is probably much higher in reality) this week. Only days after company representatives had to go on the record to dispel any rumors that the social media titan has covertly taken over users’ microphones to listen in and use this data to target them with ads more efficiently, there is already a new Facebook mystery circulating the web. The latest paranoia-infused theory speculates that company employees are quietly reading through the private Google Docs files you share with friends via Messenger. But before I dig further into the matter, let me put this out there: No, Facebook reps probably aren’t checking your files – but its bots sure are. Earlier today, a concerned user took to Reddit to share an unusual experience he had on Facebook. “I made a crypto portfolio spreadsheet and decided to share it with my brother, whom I’ve been Facebook friends with for [over 10] years and we share links all the time,” the post read. Now, it is important to point out that this ‘explanation’ came from another Facebook user, and not the company itself. So while it might be partially true, it would be a safe play to take it with a grain of salt. Unfortunately, this isn’t how the Redditor in question interpreted the situation. So who was reading his sheet and how did they access it? Seeking to get to the bottom of this, the Redditor used the internal Google Docs messaging system to ask the anonymous users how they obtained access to the hidden file. But they both left without responding to his line of enquiry. Pretty spooky stuff… if true. But here is the thing: It probably isn’t. The post has since gone viral on Reddit, amassing well over 2,000 upvotes and sparking heated debates about the authenticity of the claims among commenters in the Privacy subreddit. The same post also appeared on HackerNews, but – curiously – the response there was not nearly as sensational. Indeed, this is precisely what happens. 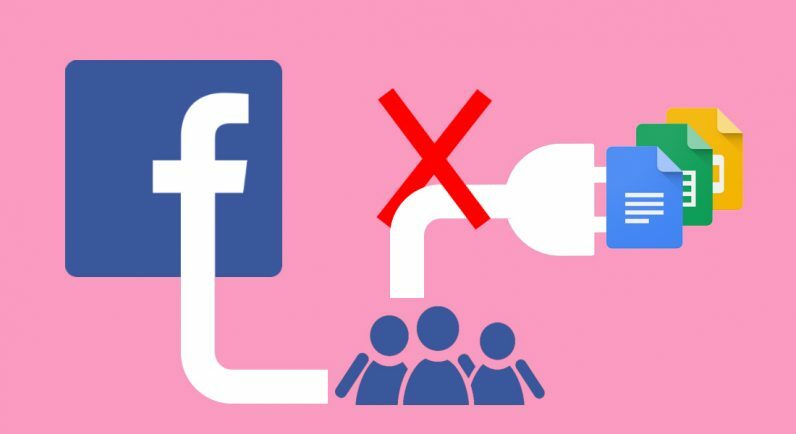 The reason Facebook runs crawlers on its platform is to improve URLs and offer more information to users about what the link contains. In order to do so, its bots would open a page, scrape all the necessary data, and generate an image and an accompanying card for the URL. In all fairness, Facebook did at one point suffer from a vulnerability that could have legitimately exposed privately shared links to practically anybody else using the platform. But the social media giant has since patched this loophole to prevent this from happening. Quite obviously though, the paranoia still lingers – and not without a reason. Chances are that anything you do on the platform is being monitored, recorded, and stored on its servers. That is an open secret. But it is extremely unlikely that this is actively being done by actual humans. Meanwhile, we have contacted Facebook for further clarification and will update this post accordingly if we hear back. And before I wrap up, let me clue you in to another illuminating revelation: Facebook and Messenger have never been known for safety and privacy. There is a reason privacy-oriented messengers like WhatsApp, Telegram, Signal and co. are thriving. So next time you find yourself paranoid over Facebook employees possibly spying on you. Do what the rest of the world is doing: Move the conversation to another platform. Case closed.